Wearing your baby can make life so much easier and has so many fantastic benefits. 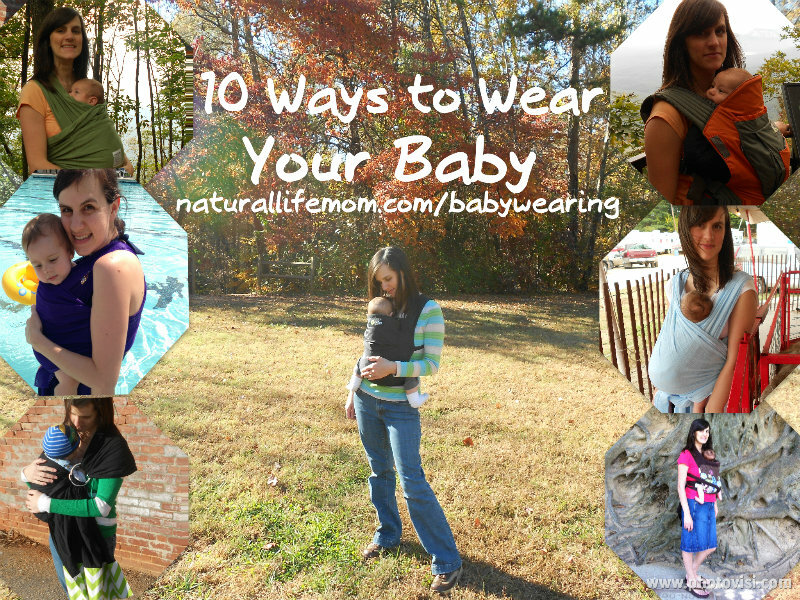 Below I’ve listed 10 ways you can wear your baby. There is no one right way to babywear and no one right carrier. We are all unique as are our babies so finding the right carrier and way to wear is a reflection of that. Hopefully if you are new to babywearing or just looking to vary your experience, there will be something useful for you here! There are a variety of stretchy wraps on the market today. You can even cheaply make your own; you don’t even have to be able to sew! Starting from the day your baby is born, you can use a stretchy wrap. The cozy stretchy fabric is forgiving for first-time mamas and comfy for itty babies. You can wear baby on your front or hip in a stretchy wrap but never your back. Usually the weight limit is around 35 pounds, though most people find that once baby gets to be 15-18 lbs, the stretchiness becomes a bane rather than the boon it was in the newborn period. The Moby Wrap is probably the most well-known stretchy wrap, but there are other brands as well like the Wrapsody Bali Stretch and Boba Wrap. You can also find a plethora of WAHM stretchy wraps out there. Water wraps are also made of stretchy material that is thin and dries quickly making them ideal for wearing, you guessed it, in the water. Use these in the shower, in the pool, at the lake…well, you get it, anywhere there is water. Another type of stretchy wrap is the Baby K’tan, which is advertised as a wrap without the wrapping. It is a good option if the idea of learning to wrap is intimidating. The Baby K’tan is a sized wrap, and it is best to err on the small side if you are having trouble choosing a size. There are a couple of these on the market right now. They are ideal for preemies, but any newborn can definitely benefit from them. They are the perfect way to wear baby skin-to-skin while being hands free at the same time. It feels amazing to have your wee one skin-to-skin, and the benefits for kangaroo care are numerous. 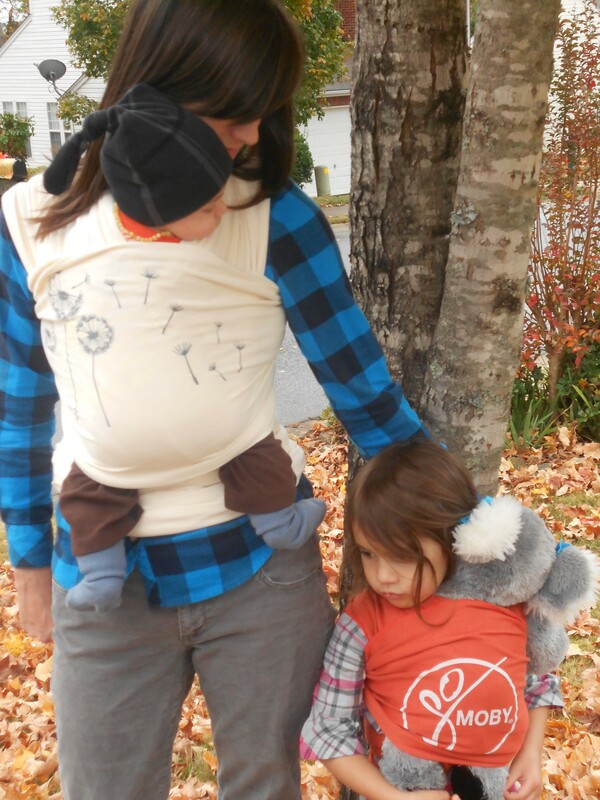 VIJA Designs makes many different types of kangaroo babywearing shirts, including options for dads. Because it is a thinner material, these are only meant to go up until 15 lbs or so. Obviously the only way you can wear your baby in a babywearing shirt is on your front. Woven wraps, also referred to as slings, can be addicting. There are so many beautiful designs and different fabric options that the choices are endless, or so it seems. Didymos, Natibaby, Girasol, KoKaDi are just a few of the many, many brands of woven wraps. Materials range from hemp and wool, to cotton, silk and linen and every combination in between. Different fabrics provide different support. Some are handloomed and some machine woven. 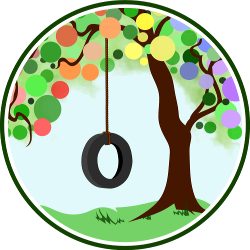 Everyone has their favorite types for different activities and ages of child. And I haven’t even mentioned size. Sizes generally go from a 2 (2.7 meters) to a 7 (5.1 meters) with size 2 and 3 being referred to as a “shorty.” Different sizes have different carries that can be achieved, but this also varies based on the size (and skill) of the individual wearers. I really have only scratched the surface here. Woven wraps are probably the most diverse carrier with the most diehard followers. Woven wraps can be worn on your front, back, and hip in a variety of ways. Depending on the wrap, you can wear your child in a woven well into toddlerhood and beyond. Colimacon et Cie and Dolcino as well as Easycare, Girasol and BBSlen are priced a little lower if you want to try a wrap but aren’t ready to commit a whole lot of money at first. And there are some WAHM options, like Wrap Nap Fairy that are more budget-friendly as well. I have these in their own category as they are a little different. The cotton gauze material is thinner and lighter and is wonderful in the hot months. It is not as supportive as a woven, though, and some people don’t like the thinness of the material and feel it is too “diggy” (which just means it digs into you more). This may or may not bother you. Once again, it is all a matter of preference. BabyEtte sells an extremely affordable $40 cotton gauze wrap that was a delightful wrap for my son’s newborn days as he was born in the middle of July. The most popular cotton gauze wrap is probably the Wrapsody Bali Breeze (also known as Gypsy Mama Bali Breeze or GMBB for short.) These types of wraps aren’t as expensive as wovens, which is also an asset. Cotton gauze wraps can be worn from newborn to toddler, but their comfort level fades as your child gets bigger. You can wear a cotton gauze wrap on your front, hip, and back. Also known as ABC’s (or Asian Back Carriers), there are 4 types of these. All of the Asian carriers have the same basic design of a panel or piece of cloth with straps attached. I’ll start with the most well known, the Chinese Mei Tai. Mei Tai’s are very adjustable and can accommodate a wee newborn to a toddler (and sometimes even a preschooler and beyond). It is a panel with 4 straps: 2 on the top and 2 on the bottom. I personally found there to be a slight learning curve but easier to learn than a wrap for sure. Mei tais can be worn on your front, back and hip. Freehand, BabyHawk and Catbird Baby are some brands that come to mind, but there are a myriad of WAHM-made Mei Tais. The most famous is probably the coveted Obi-Mama. Many WAHM brands custom make Mei Tais. You can send in your woven wrap to have a wrap conversion Mei Tai made, as well. Mei Tais also come with many variations and customizations, which means you can probably find one that is best for your frame and child. The next ABC I’ll mention is the Japanese Onbuhimo. I’m not aware of a name-brand maker of these, but you can find them made by WAHMs. I personally have one made by Two Momma Designs. These can be found as wrap conversions as well. This is very similar to a Mei Tai, but instead of 2 straps on the bottom, you have 2 rings. Some are made with a piece of cloth to pad the rings, but some are not. Obviously the former is the most comfortable for the wearer. An Onbuhimo can be worn on your front, back, and hip from newborn to toddler and beyond. The Korean Podegi (also known as a Pod or spelled Podaegi or Podeagi) is a blanket of fabric with straps on the top only. Traditionally it is worn as a wide blanket with the straps tied around the torso and usually just on your back. However, we Westerners have adopted an over-the-shoulders front and back carry with the Pod. We have also popularized a narrow blanket version that is more common in the West. You will find these made by WAHMs and also as wrap conversions. Podegis can be worn on your front and back starting at around 3-6 months going into toddlerhood. Lastly, the Hmong carrier is a symbolic and traditional carrier of the Hmong people (an Asian ethnic group from the mountainous regions of China, Vietnam, Laos and Thailand). It is similar to a narrow blanket Podegi but is a stiffer carrier featuring beautifully embroidered squares sewn onto the blanket. This carrier is best used starting at around 2-3 months and can go into toddlerhood. You can wear a Hmong on the front and back. There are a wide variety of ring sling types, but the two main distinctions are padded and unpadded with unpadded being what you will predominantly find. Like woven wraps, there are a lot of different types of ring slings. They also come in a variety of materials and styles and also can be converted from a woven wrap. Sleeping Baby Productions is probably the most well-known ring sling maker and converter. Many ring slings are made by WAHMs as well as the brand names Sakura Bloom, Maya Wrap, etc. Basically a ring sling is a piece of cloth with 1 long piece of fabric pulled through 2 rings. It is a one-shouldered carrier. Though not as common, you can also find ring slings with closed tails, but the majority on the market have open tails, which means the fabric hangs down. You will also find different types of shoulders on ring slings from a gathered shoulder to a pleated shoulder and more. You can start a ring sling out with a newborn and can wear it well into the toddler years. A ring sling is primarily worn on the front and hip but technically can be worn on your back for short periods of time. However, if you have a stretchy material like jersey knit or the like, you cannot wear your baby on your back. A Pouch is pretty much just that, a pouch. One long continous piece of fabric constitutes a pouch, and it is generally a sized carrier, although adjustable pouches are available as well. The size you choose is very important as you will need it to fit just right in order for the safest, most comfortable fit. It is best, for safety reasons, to wear your baby in a front-facing tummy-to-tummy position instead of the cradle position you generally see advertised for a pouch. Although a cradle position can be done safely, it is trickier so I just suggest avoiding it myself. Popular brands include Hot Slings and Seven Slings, although I have not heard good things about the latter in general. Many WAHMs make these as well. Mostly worn in a hip or front carry, a pouch can also be used for short periods in a back carry. You can wear a newborn in a pouch but, as it is tricky to do safely, I recommend waiting until 3 months and up for a pouch. This carrier is probably my least favorite, but some people really love them, so don’t completely discount it either. These are becoming more mainstream and, as a result, you can find them more easily now in big box stores like Buy Buy Baby and Babies R Us. A soft structured carrier (abbreviated SSC) attaches to you with buckles and is generally very user friendly and adjustable to different wearers. My personal favorite brand is Ergobaby, but other popular brands include Boba, Beco and BabyHawk. A newer SSC is the Onya Baby, and it includes the very practical feature of converting into a chair harness for your baby to sit in a chair with you while you are out. There are also a variety of brands that have loyal followings like Tula and Kinderpack, but they are harder to come by. I’ve also seen some WAHM SSCs. Wrap conversions can be found in either half-buckle (where it is a mei tai but with buckles on the waist) or full buckle. These are a lot harder to get and can cost quite a bit of money. Hip Carriers are another version of the SSC and they are specifically designed to wear your baby comfortably on your hip (though they can also be worn front and back). Scootababy is one of these brands. Another type of SSC is a travel carrier. 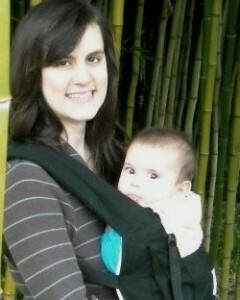 Ergobaby makes the Stowaway carrier and Boba makes the Boba Air. Both of these models are designed to fold up into themselves into a pouch making them lightweight and convenient to travel with. Some SSCs (like the Boba 3G and Beco Gemini) can support a newborn, but most require an insert that is sold separately. Without the insert, you’ll need to wait until baby is at least 15 lbs. You can wear an SSC on your front and back, and some have hip carry options as well. These work well for older children as well. A Rebozo is a Mexican shawl similar to a ring sling but tied. It is a short piece of woven material sometimes fringed and comes in beautiful patterns. You can use a size 2 or 3 woven wrap as a Rebozo. These work great as an aid during labor for “sifting” mama’s belly and even during pregnancy as well. These are used more for hiking and camping and go only on your back. Only older children can be worn in these metal-framed backpacks. The most well-known brand is Kelty. You can also store gear in it as well. This isn’t the type of carrier for the day-to-day, but if you do a lot of outdoorsy things, you might want to look into them. Love this. I started with the evenflo buckle carrier, then the moby, and moved into woven wraps. Now I own 5 woven wraps and it’s looking like my babywearing days are done. Each kid has a legacy wrap that I’ll keep forever. 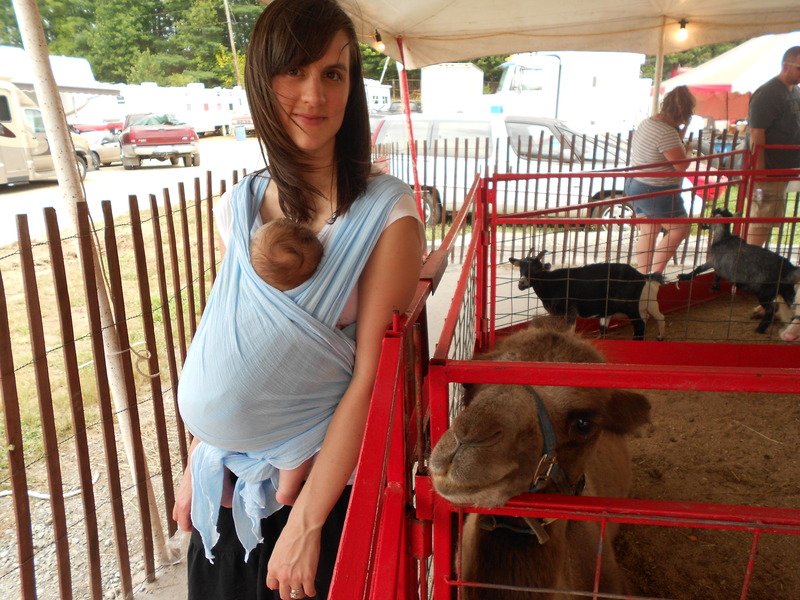 I love babywearing photos! Shared this on twitter and pinterest. Love it! I only have 2 true woven’s. I would love to build my woven stash though! Great post! I am looking for a back carrier that I can put on myself for my one year old. We have a bjorn, but it isn’t designed for back carry – it pulls on my neck and I can’t put her in it myself. And if it was cheap, that would help! Any suggestions? My personal favorite carrier is the Erogbaby carrier, an SSC. It is a little on the pricey side though. What is your price range? Mei tai’s are good for back carries and you can find some inexpensively. 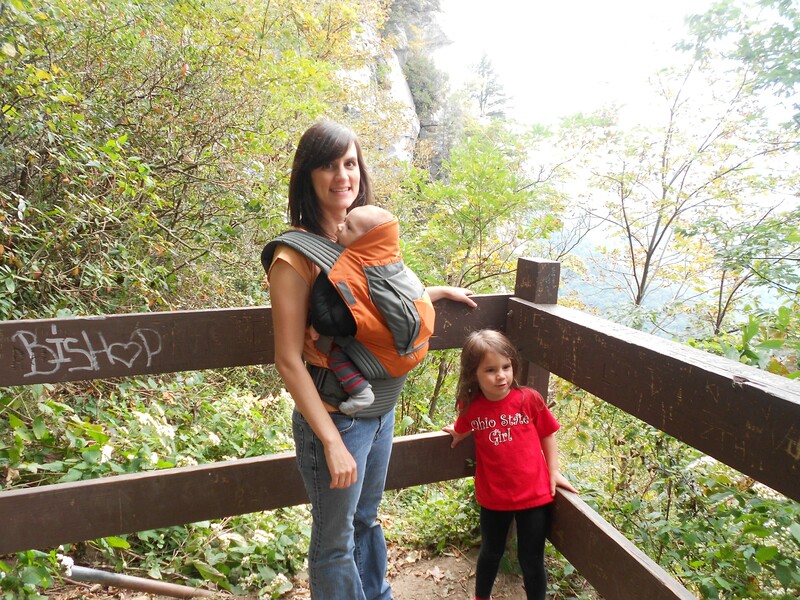 Julia, you’ve become such a babywearing expert! Great resource and pinned. Love this. We have worn out son since birth in both a baby carrier and a wrap. So nice to have them close and great for walking the dogs. Tula’s are great SSC’s and have a huge following! I had one for awhile but personally liked my Ergo better. The nice thing about Tula’s though are there are 2 sizes so when your child gets bigger you can switch to the Toddler size. I actually also felt their Standard size was a bit smaller than my Ergo in the base. There are also wrap conversions of Tulas that are supposed to be wonderful. They are expensive and hard to get your hands on though. I am interested in baby wearing however when I have tried my shoulders ache. Is this normal? I have a Bjorn ‘one’ and have tried my own sling made from a sheet for around the house. The Bjorn is one that can cause pain for the wearer. 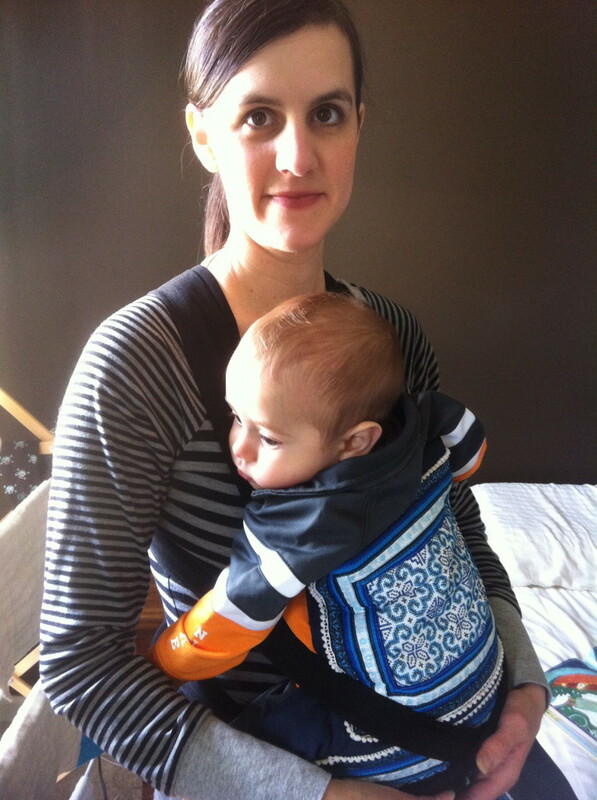 See if you can try some other types of soft structured carriers like an Ergo. Look in your area for a Babywearing group that may have a lending library that you can try some different styles. They will be a great resource! Julia-the Bjorn One is actually a newer style that is an ergonomic design with a waist belt and the ability to back carry. 🙂 I haven’t tried one, but they look much better than the original narrow-based Bjorn carriers. I like all the information you have provided but after having read it I must admit I find it a somewhat daunting task in choosing the right wrap. I am 6″1 and on the larger side and my son Falcon is nearly 3 months old, 27 inches in length and already 18 lbs.! Please msg me back with any tips you might have. You may want a 100% linen or linen/cotton blend for support. Linen is cooler than most other blends and is very strong. It is typically thinner though, so can be slightly diggy on the wearer’s shoulders. On the other hand, many of the other blends can be suitable as well, based on weight of the fabric or the carry you choose to use. Do you have a BWI group near you? They may have a lending library that would allow you to try some things out, as well as help with wrapping and trying to find the right length to suit your needs. Woven sizes are less about the wearer’s size and more about what the wearer would like to do with the wrap. Good luck and happy wrapping! Hi, I have a toddler aged 15 months. I have an impending International trip where carrying a stroller isn’t appropriate. Kindly suggest a baby carrier. Is Mei tei a good option and she is 11 kgs now.